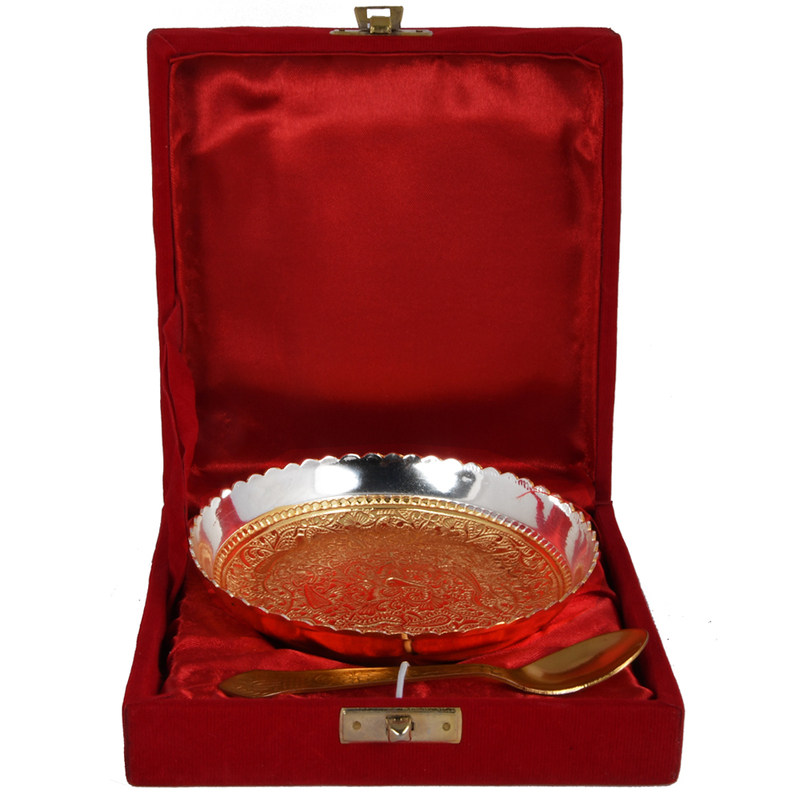 The dual tone & the round shape of this bowl are the main two USPs of this serving bowl. The seamless curvy design reflects its Read More..eloquent vibrancy. Use of this bowl is multifarious. Place it on a table top & keep fruits in it. It will entirely change the get up of your dining space. 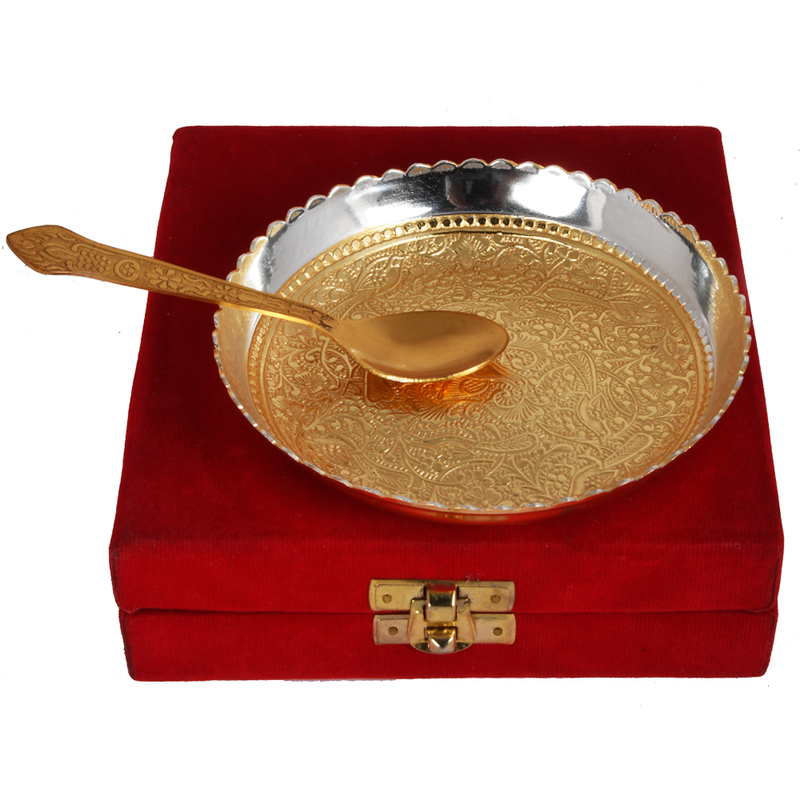 Also, welcome your guests with the warmth of serving delicious dishes in a style by using this Germen silver made bowl & they will cherish the supper forever. 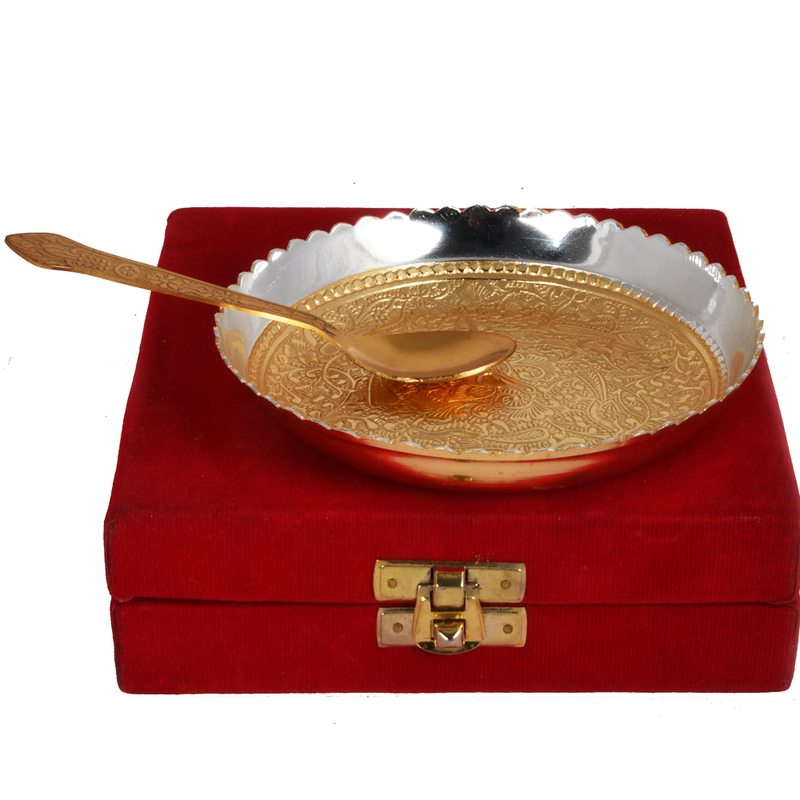 This affordable, beautiful, superior bowl can be your perfect companion if you are really a party maniac. Show Less..